← Are you Phoenix’s top cheapskate? We all go grocery shopping, although some of us love it more than others. 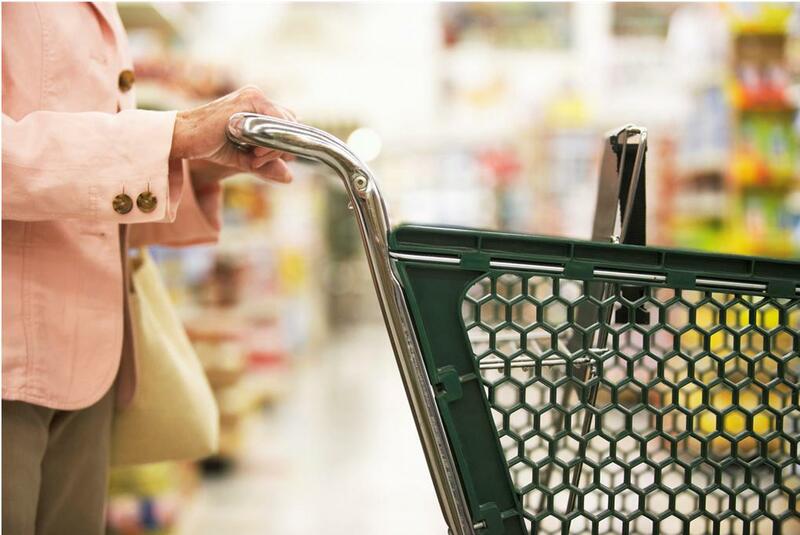 However, would you like grocery shopping more if you could save money or even make money? It turns out there is quite a market out there for apps to help you save, and even make, money on grocery shopping you already do. Here are five grocery apps you need to check out. Ebates is one of the largest sites devoted to getting you cash back on items you would already buy, from household products to cosmetics and yes, even grocery staples. Ebates rewards members with cash back every time they shop online through the Ebates portal, and also features “hot deals” and coupons for popular stores like Kohl’s, Macy’s, Shutterfly and more. For groceries and household items, you can get cash back from Jet.com and and Walgreen’s and coupons from Safeway. If you download the Ebates app (compatible with most smartphones), you can use in-store coupons, scan products to compare prices and get regularly updated deals. Find out more about Ebates and sign up here. Looking for something a little simpler than Ebates? Check out Ibotta, which flat out rewards you for grocery shopping and more. Ibotta is a free mobile coupon app, compatible with most smartphones, where shoppers are able to earn cash back on certain products by performing simple tasks, purchasing the product, then providing proof of purchase with their receipt. Ibotta is a terrific app to have when grocery shopping because you can use it to get cash back on things you were already planning on buying. It’s also very simple to use, and you can unlock cash back rewards during a commercial break or even while you’re waiting in line at the grocery store. You can sign up and start earning cash back with Ibotta today here. Cartwheel is a must-have app on your phone if you shop at Target frequently. Cartwheel is a mobile coupon app specifically for Target, and offers special coupons and discounts only for customers using the Cartwheel app. You won’t even know about these discounts unless you download the app. No clipping coupons, plus deals are updated weekly and daily. No wifi on your phone? No problem, as most Targets now offer free guest wifi. No excuses to not save money on (almost) every Target purchase you make. You can download the Cartwheel app here. Favado is a simple app created by the team at Savings.com. It’s a very easy app to set up once you download it. Simply enter your zip code, watch the stores around you pop up, then check all the stores where you frequently shop. Yes, you can even check every single store around you to see all the coupons at every store. Favado aggregates coupons from around the web, which includes the paper coupons released in the Wednesday circulars, and puts them all on the app for you to see quickly. Simply click “add” to whichever coupon you want to use on your next grocery trip, and Favado will save that coupon for you. You may need to print some coupons out at home before grocery shopping, so be sure to check before you go out shopping. Best of all, Favado even connects with Ibotta (above) to let you know if you can get additional points, essentially getting you an even better discount with cash back. You can download the Favado app here. Shopkick is a fun app that rewards you with points that can be redeemed for gift cards to your favorite stores. Shopkick rewards you for walking into stores, or around stores if you’re in a mall, scanning items, and purchases you make. Shopkick is similar to Ibotta, except you don’t have to buy anything at all to get rewarded. Yes, really, all you have to do to get rewarded by Shopkick is walk around a store, which makes it a great way to get extra exercise and get paid for it. Shopkick also rewards you with “kicks” (points to redeem for gift cards) on tons of grocery items, from yogurt to wine to coffee. You can sign up for Shopkick by downloading the app here. Did we miss any grocery store apps you think we should add to our phones? Let us know in the comments.